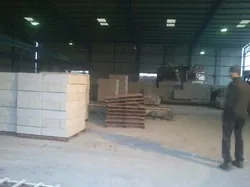 Manufacturing and Trading of Autoclaved Aerated Concrete Block. Since inception we are striving to uphold the environment through sustainability, durability and quality. This indeed helps us to contribute in the progressing economy of the country by creating huge impact on the environmental and financial aspects. Further, we are backed with the requisite talent and techniques to nurture the environment whilst catering to the challenging construction needs. Further, we take pride that our products are tailor made and designed as per the clients’ requirements, and enlarging our commercial footprint. We are a customer centric organization developing products to suit the evolving architectural challenges. And, owing to our innovative team and skilled manpower it has become possible for us to carve a niche in the industry. Our rapid growth is driven by the rich expertise of our R&D specialists, manufacturing experts, quality assurance officers, sales and marketing personnel and a trained workforce that is instrumental in garnering the unique needs of a huge client base. Our brand competency is backed by our state of art infrastructure, which strengthens our endeavors to deliver quality products in the given time span. Our manufacturing base in fully equipped with latest machinery and our distribution modules are backed with hyper connectivity to streamline our business operations in this burgeoning sector. Further, our well integrated work set up is sprawling across a large area and features adequate expansion capabilities. Our offered AAC blocks stand for performance and utility, therefore we strive to follow the stringent quality norms at every level. Our trained quality management associates make sure that the bespoke quality offered to a stern client base is compliant to the highest industrial regulations. 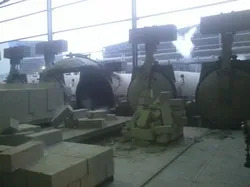 Further, we have implemented latest testing techniques to assure our clients with the weight, uniformity, construction and longevity of the finished blocks. At Clavecon, our vision can be encapsulated in two simple words 'Build Global'. We aim to redefine concrete manufacturing and delivery by enabling each vertical of this business sector to elevate itself to global standards of quality. This means more productive methods and technology that Is eco-friendly as well as cost effective along with shorter project time lines and within these factors lies the bigger picture. Our vision is to put the concrete industry of India on an organized platform where targets are achieved and goals are set efficiently. We envision an industry platform that is equipped to give India its own new generation of skyscrapers and modern building infrastructure.